Shelby M.C. 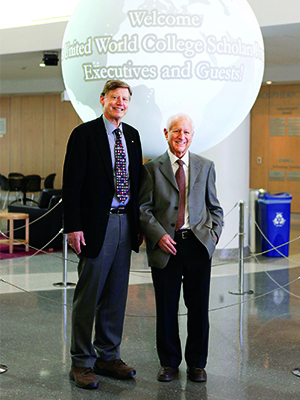 Davis and Phil Geier are cofounders of the Davis UWC Scholars Program. They started with a simple idea: Provide scholarships to talented international students at American colleges and universities, which they hoped would transform those students’ lives and enhance the global diversity of American higher education. This could create connections among future leaders and foster international understanding. Shelby M.C. Davis is the founder of and a senior adviser to Davis Selected Advisers, L.P., a mutual fund management company managing more than $40 billion. A history major at Princeton, Class of 1958, he became the Bank of New York’s youngest vice president since Alexander Hamilton before starting his own firm. 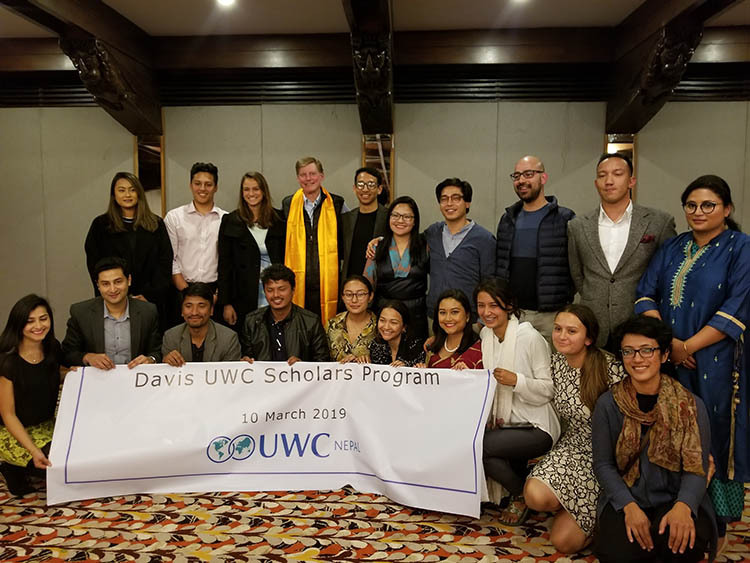 Davis and his family have contributed more than $75 million to United World Colleges (UWC) and currently spend $40 million annually on various Davis-UWC scholarships. Mr. Davis established 100 full scholarships for American students to attend UWC campuses worldwide,and funds need-based scholarships each year for over 2,900 UWC graduates who enroll at 95 U.S. colleges and universities. Mr. Davis has served on boards of the United World College/USA, the Hoover Institution at Stanford University, and the Teton Science School in Jackson, Wyoming. Hear from Shelby Davis about his committment to UWC students. Philip O. Geier currently serves as executive director of the Davis United World College Scholars Program. He is a leader in international education, and often serves as an independent consultant specializing in strategic innovation for education and transformative philanthropy. He earned his B.A. from Williams College (1970) and both an M.A. (1975) and a Ph.D. (1980) from the Maxwell School of Citizenship and Public Affairs at Syracuse University. He then went on to teach at Dickinson College and as a Fulbright lecturer at the Sorbonne in Paris. His true passion for internationalism grew out of that Fulbright year (1977-78) and for over thirty years he has been committed to fostering citizen diplomacy and international understanding. Through a career at not-for-profit organizations, foundations, and educational institutions (during which he was awarded a second Fulbright and served as president of the UWC-USA from 1993-2005), Dr. Geier has seized opportunities to build cross-cultural skills and attitudes among peoples throughout the U.S. and around the world. Dr. Phil Geier being welcomed by Nepali Davis UWC Scholars, alumni and their families in Kathmandu.